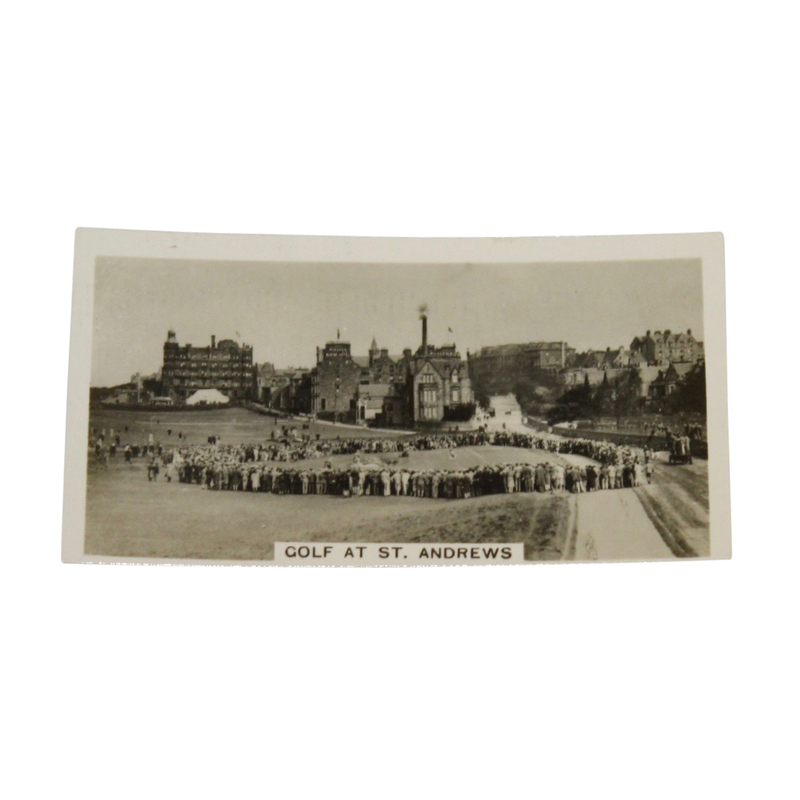 This photo show Jones putting on the 17th hole at the 1930 Amateur Golf Championship. Jones drew quite the crowd as the whole green is surrounded by spectators. 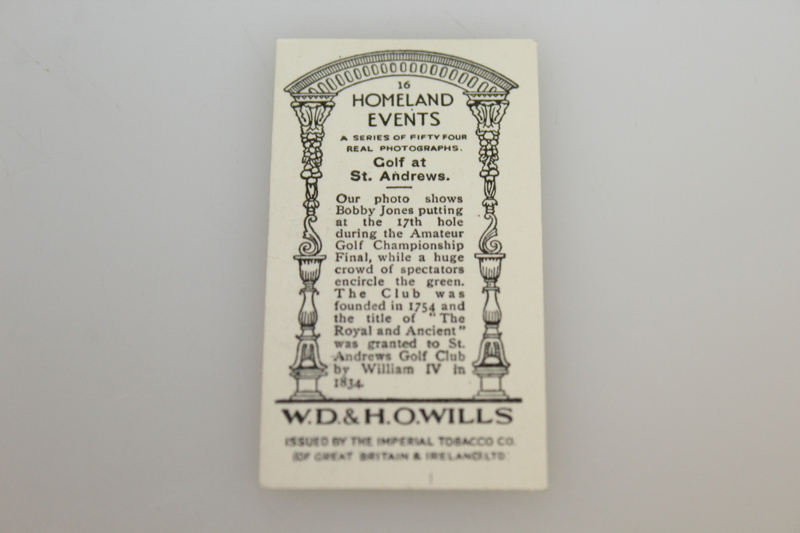 The card measures 2&frac58;" x 1½"